This colourful candle holder is perfect for the candle lovers out there! 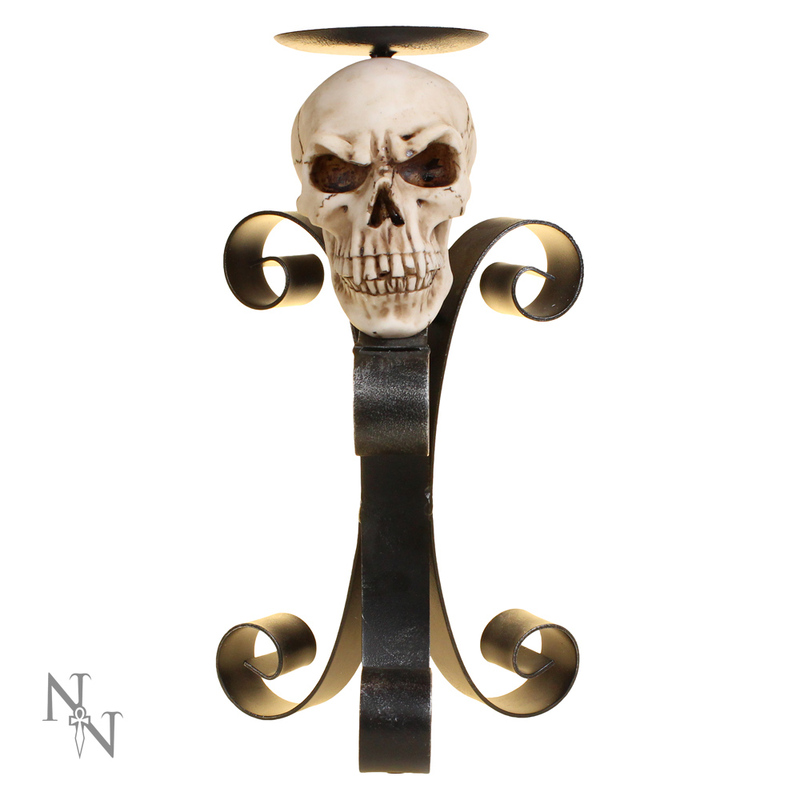 Skull that's screwed in the middle, painted black finish around the curls and a flat space on top for near enough any size candle you want. 30cm 'Light Remains' Candle Holder from Nemesis Now.